It’s been over two years since model railway bar “Bar Ginza Chou Chou POPON” (バー銀座 ChouChou POPON) opened its doors to the Japan capital. 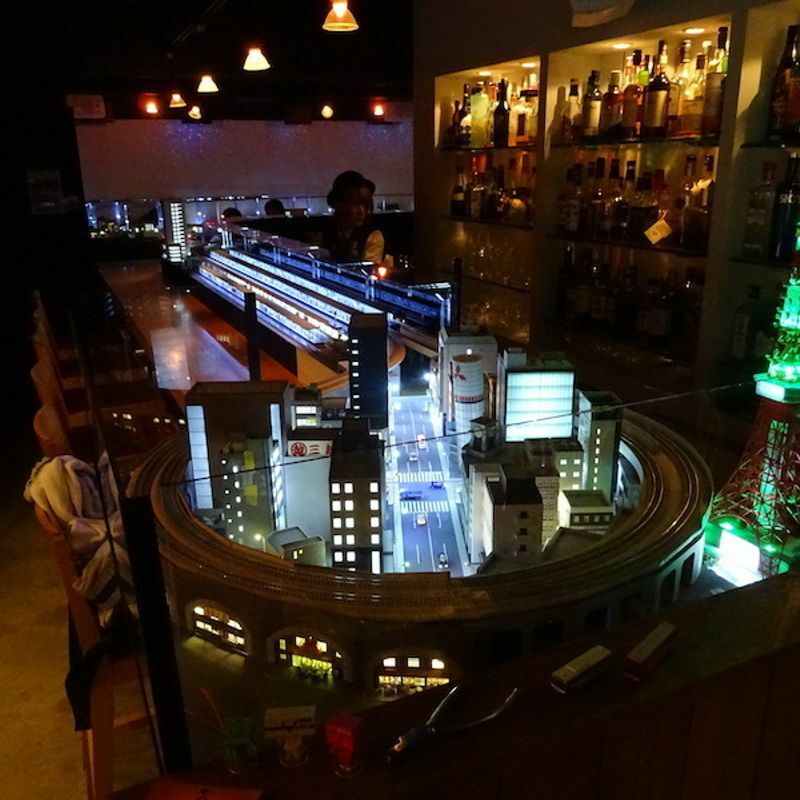 In that time the bar, located in Ginza’s 4 Chome district, operated by Ponpondetta, Inc., has welcomed actors, voice actors and their TV crews to give live broadcasts to the nation surrounded by the bar’s model railways. Like the real things, train and railway models need a spruce up from time to time, and so it is that Bar Ginza Chou Chou POPON has revealed an all-new bar counter diorama that looks set to amp up the excitement among train and model enthusiasts (at least those that like a drink) as well as those on the hunt for Japan’s themed eateries and watering holes. 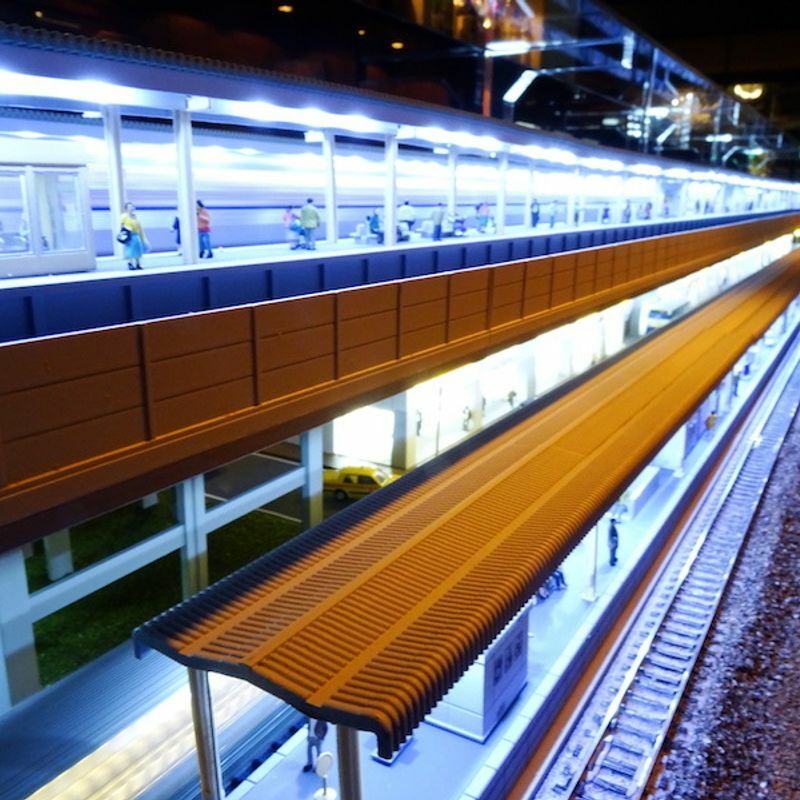 The new diorama at Bar Ginza Chou Chou POPON recreates such scenes as a large station terminal replete with abundant LED lights, featuring passengers waiting for trains, shops, convenience stores, soba joints, and waiting rooms. 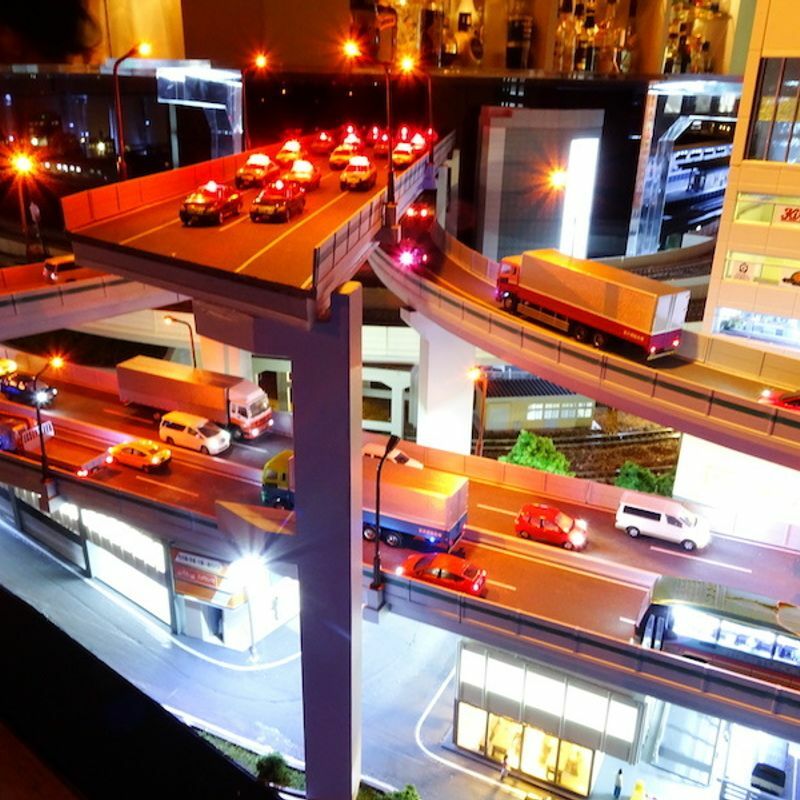 A night time urban highway scene based on Tokyo’s infamous Hakozaki Junction stands in stark contrast to the diorama’s idyllic hot-spring resort recreation replete with lit-up waterfalls and ropeways. 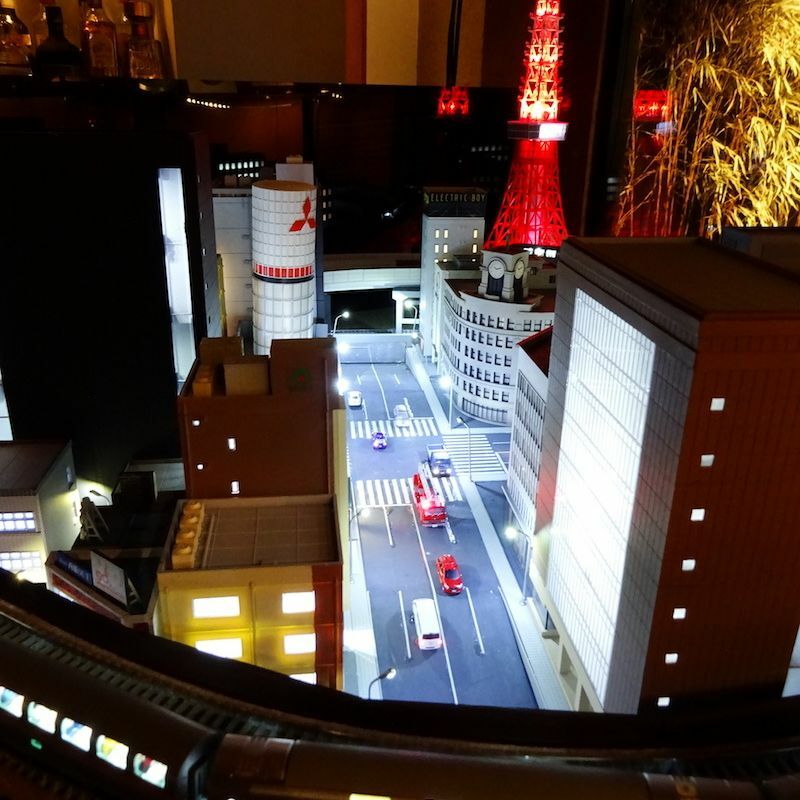 Where the bar’s previous diorama also featured a Ginza from the 1950s, the new model recreates the Ginza of today, including such stored locations as the Mitsukoshi Department store and the Wako building as well as the corridor linking Yurakucho and Shimbashi. Punters can also see a lit-up recreation of Tokyo Tower. The attention to detail has been applied, too. All cars are fitted with headlamps, images can be projected onto buildings, views can peak side houses and as well as the requisite moving trains, the diorama incorporates mechanics that enable buses, ropeways, and even aircraft in the skies, to move. Visitors to the bar can also have a go at operating the diorama’s trains. Bar owners have designed a new menu of food and train cocktails to coincide with the renewal of the bar counter diorama, and there has also been a small-scale renewal of the bar’s Galaxy Railway (銀河鉄道 / Ginga Tetsudo).